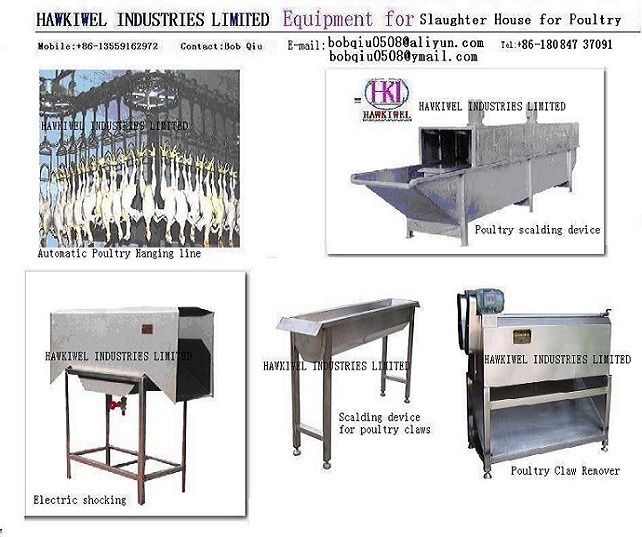 Cattle & sheep Slaughter house & meat processing equipment unit can process at capacity of50-100cattles/200-350sheep, 100-200cattles/500-1000sheep (even 2000goats/sheep) per shift of 8hrs -10hours. Pigs slaughtering house:200pigs per shift,300pigs per shift,400pigs per shift,500pigs per shift,800pigs per shift, etc. Poultry slaughtering house:2000birds per shift,2500-3000birds per shift,5000birds per shift,8000birds per shift,10000birds per shift, etc. The whole processing line is sanitary in comply with China Food Hygiene Standard. Stainless steel materials or heat-gavanized steel are used in making most of the equipment. Also ham, meat ball, or sausage making equipment will be equipped as per the requirement of the customers. The slaughtering house can be traditional way of slaughtering, or HALAL way. /cooling rooms for acid removal, meat storage. by using high-quality of compressors, powerful, useful and indispensible for Chiller rooms. Frozen Meat/bone sawing equipment are also available for the frozen steak, big pieces of calf body. 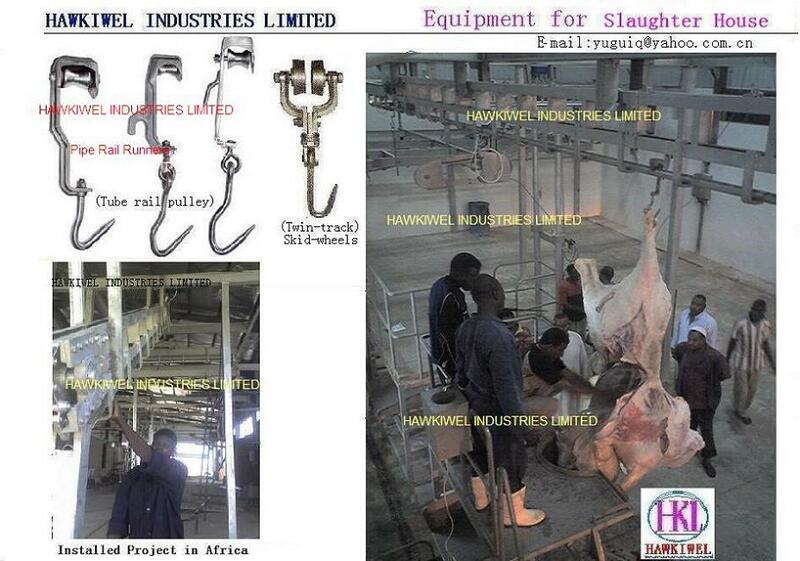 Application: Slaughtering house and meat processing plants. Custom-made is acceptable in design, basically necessary to adhere our method /concept of design with China related technical standard. We also supply Equipment for Waste Water Treatment for the slaughtering house. Capacity:100-400Cubic Meters per day.